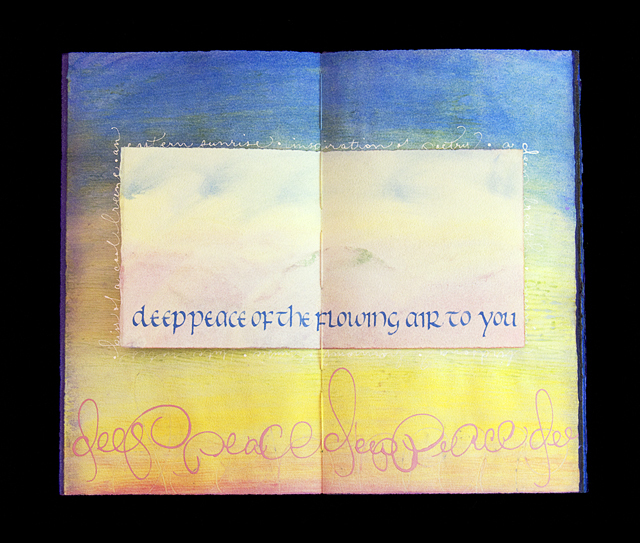 Unique manuscript book; calligraphy, handwriting, paste paint and pochoir. 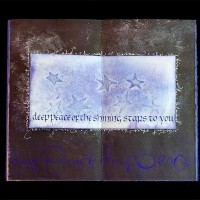 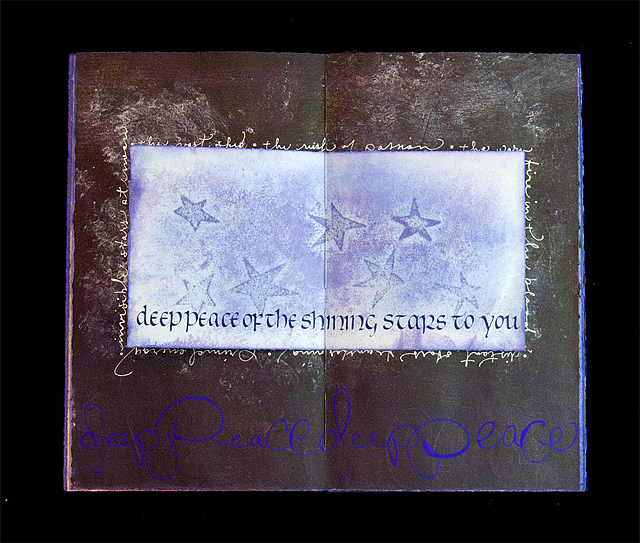 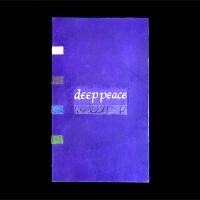 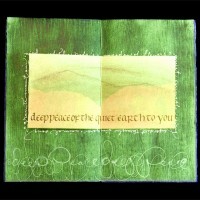 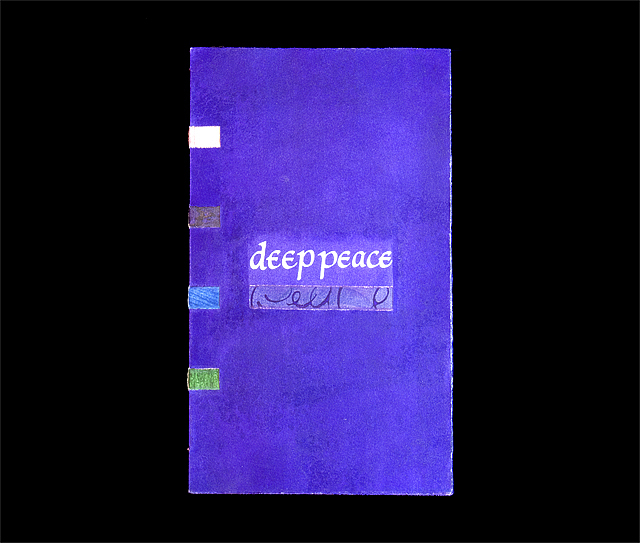 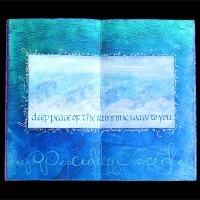 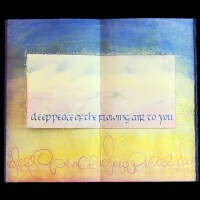 Deep Peace is based on a traditional Celtic blessing, which has many variations because of its oral nature. 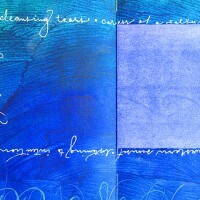 The four elements are represented by air, stars (fire), waves (water) and earth. 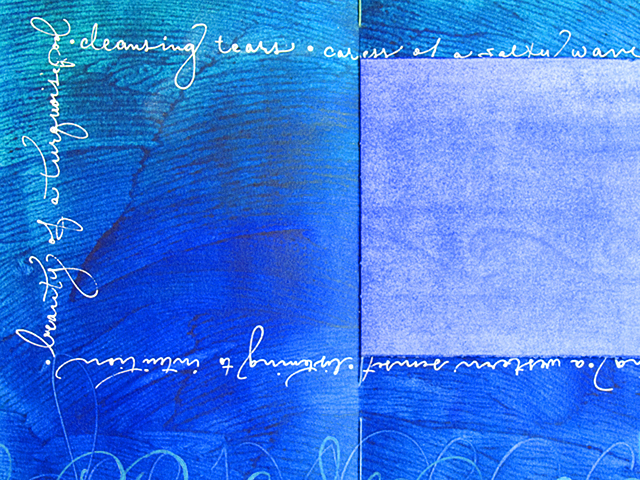 The calligraphy on the small pages is written with a broad pen in varying shades of gouache. 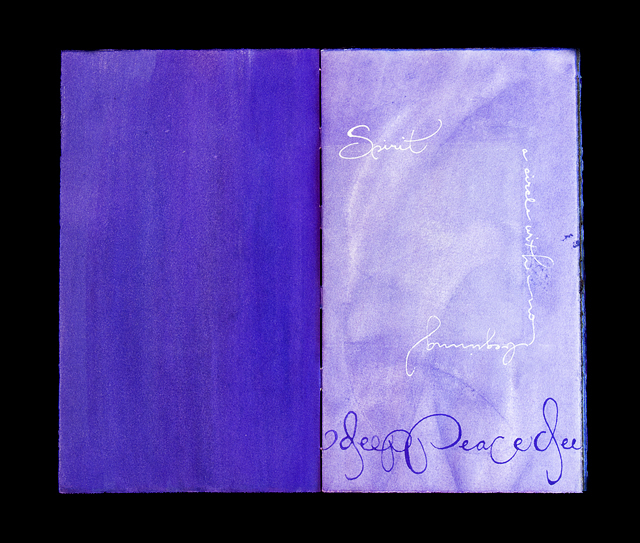 Freely done white handwriting traces the perimeter of each small page spread, expressing the manifestation of each element’s blessing: cleansing tears, a granite mountain, the rush of passion, invisible stars at noon, kiss of a cool breeze. 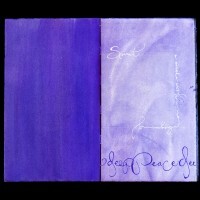 Spirit begins and ends the book, a circle with no beginning and never ending. 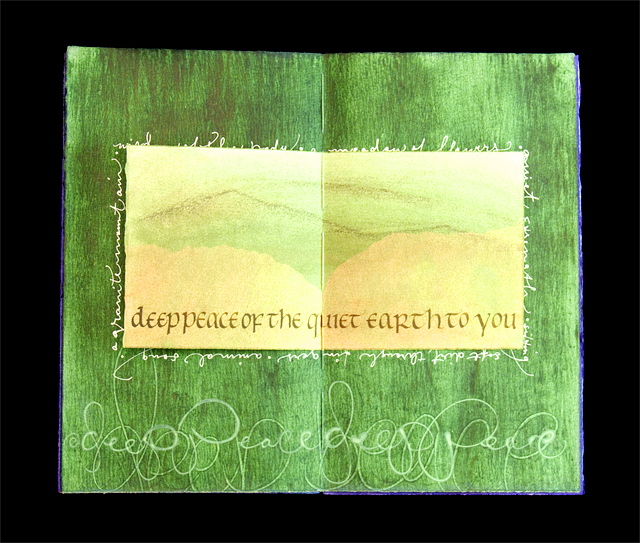 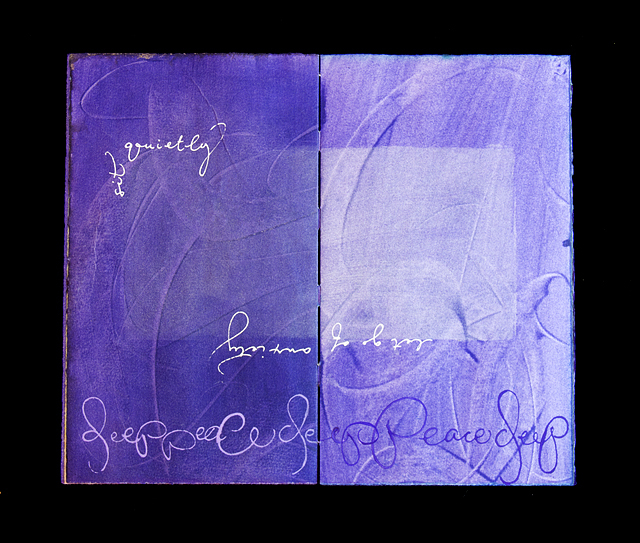 The refrain “deep peace” is lettered with a folded pen in similar colors to the background, continuing in the lower landscape of each page spread, like an underground stream. 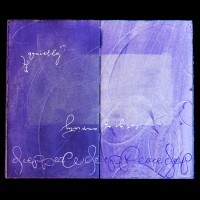 The book is sewn on strengthened paper tapes, allowing it to be displayed standing in a continuous circle. 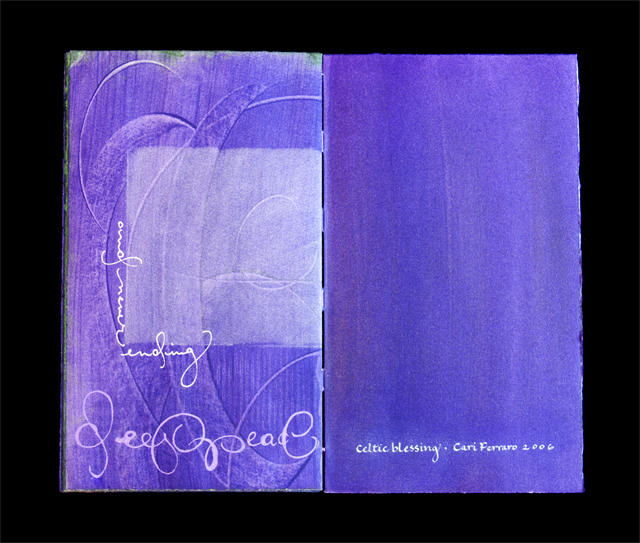 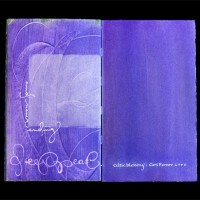 Covers are painted and titles inset in legible and abstract lettering on the front cover. 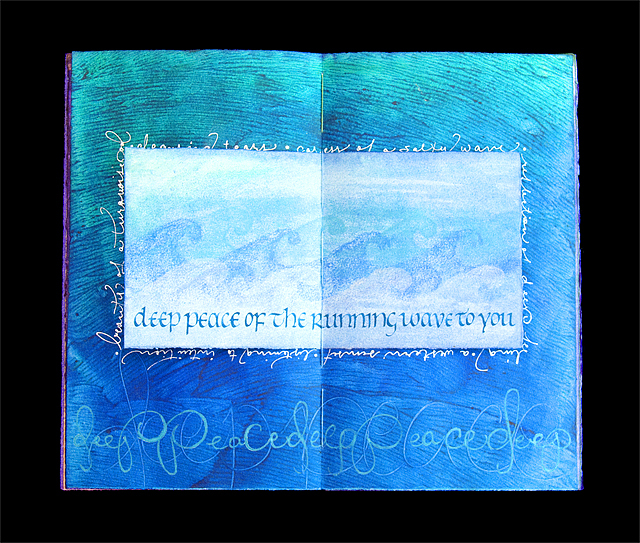 Housed in a painted paper slipcase with hand lettered title strip along the spine.